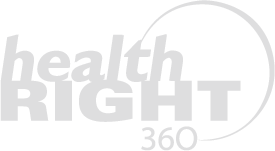 HealthRIGHT 360 (HR 360) provides a diverse array of programs and services in San Francisco. Haight Ashbury Free Clinics (HAFC) opened it’s doors in 1967 to provide free medical care to those who were uninsured or underinsured. As a response to the Summer of Love, Walden House opened it’s first residential substance use disorder program in 1969. Bill Graham and HAFC joined together in 1972 to create Rock Medicine and provide medical care to individuals at concerts and other large events. Lyon-Martin Health Services has been offering nonjudgmental, affordable health care to women, lesbians and transgender people in San Francisco since 1979. Asian American Recovery Services (AARS), another HR360 agency, began providing culturally sensitive treatment for Asian and Pacific Islander residents in San Francisco in 1985. In 2015, HR 360 began operating Tenderloin Health Services, a primary medical clinic that was previously managed by GLIDE. In San Francisco, HR 360 has fifteen distinct locations where we operate four primary medical clinics, seven residential programs, four outpatient/day reporting centers, two gender responsive jail programs, co-occurring programming, case management services, outreach and prevention programs as well as employment, housing and educational assistance. Together, these programs increase San Francisco’s diverse communities' access to a continuum of care that increases their capacities to lead healthy lives. In August of 2017, we opened our new Integrated Care Center at 1563 Mission Street. The ICC provides an innovative healthcare model to serve all San Franciscans, but primarily designed to treat low-income patients, and the harder-to-reach homeless individual. With five floors and 50,000 square feet of space, clients are able to receive comprehensive treatment services under one roof: primary medical care, dentistry (coming January 2018), mental health services, substance use disorder treatment, housing referral, employment opportunities, adult education, as well as a dining room, and pharmacy (coming January 2018). For more information on our programs and services in San Francisco, please visit the agency and program links at the bottom of the page.